A SCHOOL boy punched and kicked unconscious by a classmate in violent attack called the incident "a sickening low act". But an Ipswich judge went even further, labelling it "a brutal but gutless attack". 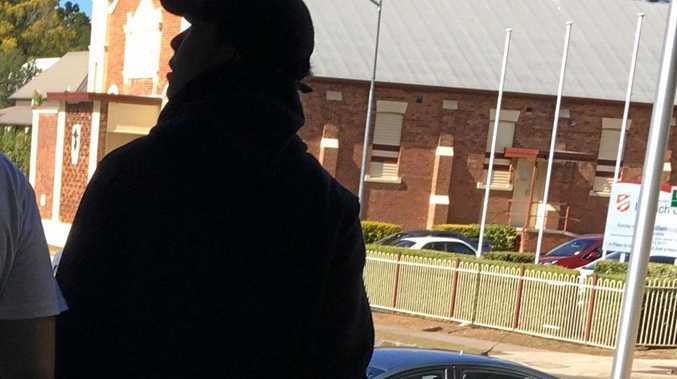 The violence, delivered at a Springfield school, was just one of a series of nasty incidents including violent robberies carried out by a 14-year-old youth and some of his mates in an outbreak of offending. Now 15, the youth appeared in the dock of the Ipswich Children's Court and pleaded guilty to committing a robbery in company; assault causing bodily harm; two counts of robbery; making threats; three counts of burglary and stealing; and unlawful use of a motor vehicle. In the Crown case put forward by prosecutor Farook Anoozer, all offences occurred between March 2017 and March 2018, including a vicious assault and robbery of a tourist in the Brisbane CBD who simply asked the youth and his mates for directions. Judge Alexander Horneman-Wren SC was scathing of that robbery, calling the group behaviour when they set upon the 24-year-old as being gutless, and carried out by a cowardly pack of hoodlums. "I suspect you all thought you were real tough," he said. "It was a very bad behaviour example of a street robbery. Six of you, one of him. There is nothing tough at all about it." Judge Horneman-Wren said that two weeks before the Brisbane robbery the youth and three of his mates set upon a student at his school, punching him many times to his face and neck, and causing him to fall to the ground. He and the other boy both kicked him in his head and face, knocking him out. Judge Horneman-Wren said the only person who showed strength was the school student being assaulted who did not fight back. "He (school student) says it is a sickening low act from a person who showed no self- control. I that he seems to have captured it, don't you think?" he said, asking the offender, who nodded his head in agreement. The judge also labelled as "daylight robbery" a crime where the youth set upon three boys travelling by train, making threats of violence and robbing the children of a wallet, jacket, bag and mobile phone before running off. Then in a crime at a shopping centre the youth set upon three boys threatening them with violence before stealing a watch, bag and phone. His criminal activities continued in December, with Judge Horneman-Wren detailing how he broke into three houses - with one resident losing more than $3400 in goods. He was arrested when he and his mates were found travelling in a stolen car on March 16. They all fled but police gave chase and captured them. Judge Horneman-Wren said the school student suffered a damaged jaw and chipped tooth, and he warned the youth that when a person kicks another in the head there is a risk of serious injury or death. In sentencing the youth, he took into account his age, a favourable pre-sentence report, and that a custodial sentence was the last resort in terms of ongoing rehabilitation. The youth had spent 47 days in custody and had since re-engaged with his education. He was sentenced to two-and-a-half years of supervised probation, with convictions not recorded. 'A SICKENING low act' were the words of a school student about being brutally bashed by a fellow student. He was knocked out at the Springfield school when punched and cowardly kicked in the head by the angry youth. Diagnosed with ADHD his victim impact statement was read to the court by his mother, in front of the assailant seated in the dock. Speaking afterwards outside the court the school student said his attacker had never apologised which disappointed him. "I sort of feel cheated," he said. "He's hurt a lot of people". His mother said she was gob-smacked to hear of the youth's other offences that were revealed in the court. "The fact is there has no real remorse. Been no apology to my son," she said. "I thought there may have been one (in the court). "At 14 (now 15) he would know right and wrong. He has hurt a lot of people." Both she and her son said they wished him well for his future and that he would stay on the right path. The mother said although there had always been bullying by fellow students and among young people, this appeared to have increased at times to what were shocking levels. They commended the school for its swift action and ongoing support, and the way it handled the violent incident. 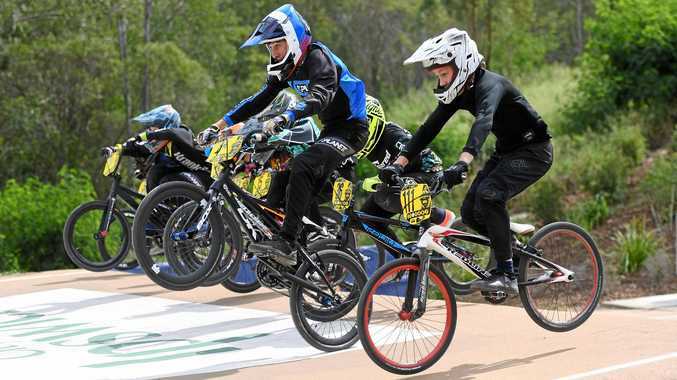 Cycling & MTB Ipswich BMX young gun achieves breakthrough win.